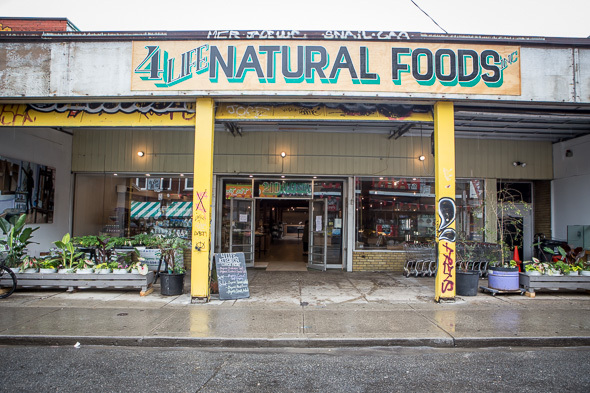 4 Life Natural Foods has replaced the old Zimmerman's Discount in Kensington Market. It will shock no one to learn that the place is a massive improvement. As it turns out, a little TLC and some glossy new poured concrete flooring goes a long way. The new supermarket is helmed by Potsothy Sallapa, the well established produce purveyor found further up on Augusta, who is now tasked with filling the sprawling warehouse-like space. 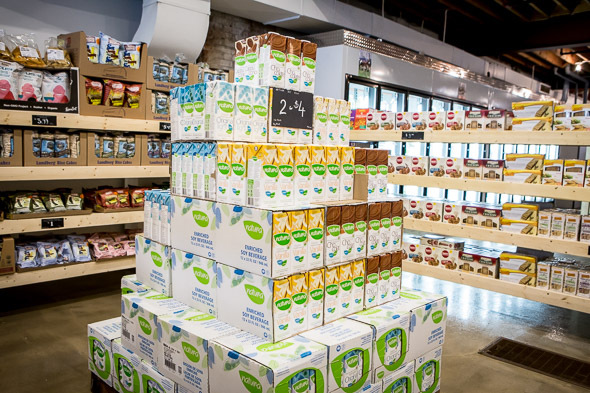 Anyone who has ever shopped the claustrophobic aisles of The Market's other organic retailers will find this a refreshing shopping experience. Cartwheels of joy - while likely not encouraged - are not implausible. 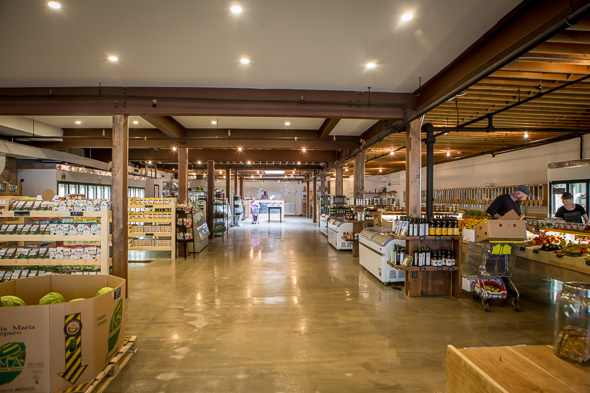 The spacious open concept houses everything from produce, organic meat and cheese, to snacks, dry goods and sundries. There's even a kitchen to supply fresh baked goods, breads, prepared meals, and vacuum-sealed ready-to-heat selections. 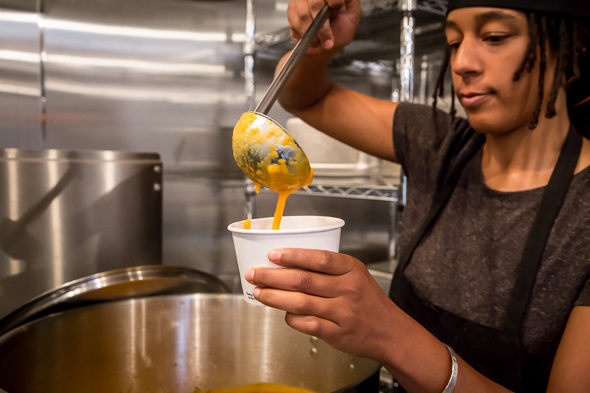 It's a sign that it's time to go out and buy a stock pot and thermometer because it's the third time in as many weeks that I've seen new establishments hawking prepared foods that need only be immersed in hot water. As someone who doesn't own a microwave, I'm loving it - the clean-up is nil. 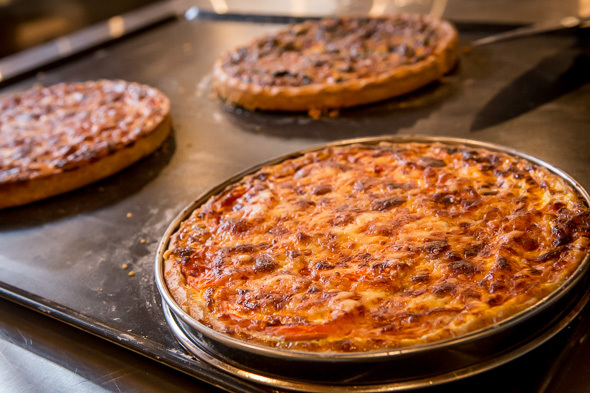 At the lunch counter in the back, find daily soups, salads and savoury tarts on offer for immediate consumption (there's even a standing rail to eat at), along with ever changing selections at a hot table featuring scratch-cooked beef stews, morrell parmesan risotto, lamb kefta, and more. 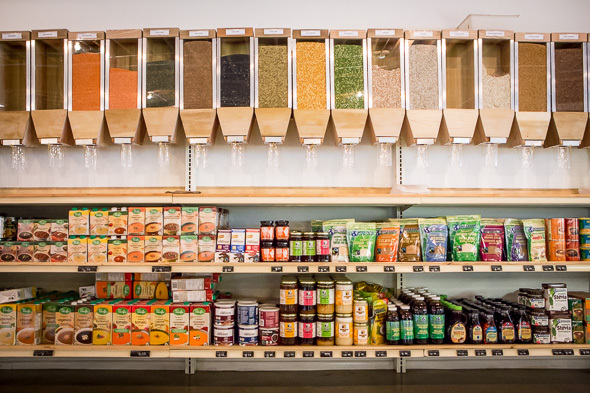 Along one wall bulk grains and legumes are dispensed from sealed wall units, while freezers and refrigerator cases stocked with essentials (dairy, eggs, and alternatives) dot the rest of the perimeter. 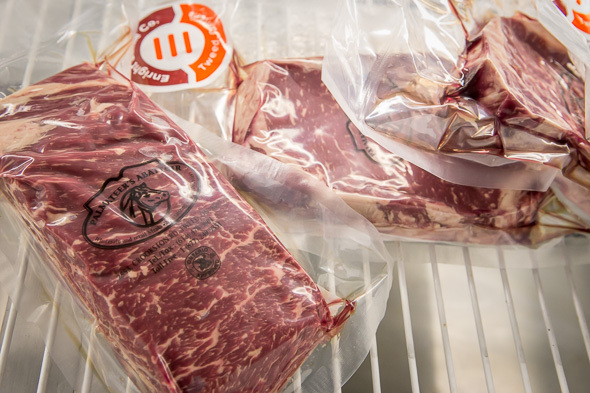 Meat cases are to be stocked regularly by family farms like the Enright Cattle Co. out of Tweed, Ontario. 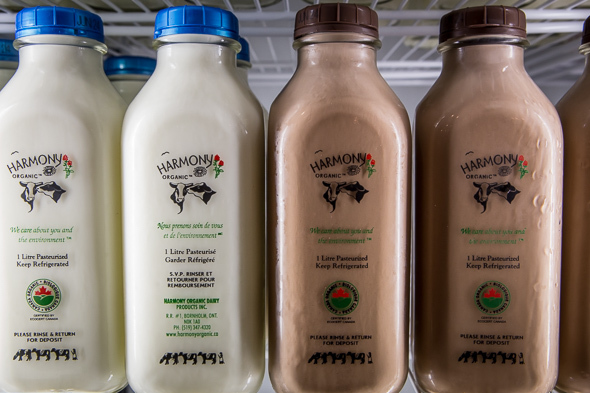 The inventory is all Ontario pasture raised, antibiotic and hormone-free. Price-wise nothing causes severe sticker shock though it will be interesting to see the impact once Loblaws on College opens.